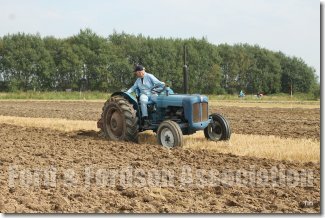 We had seven hectare of stubble to plough on and with kind permision of Mr Bennie Lubbers. 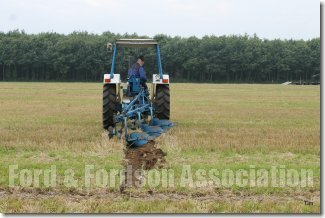 The soil was loam, that means stones, we had an maximum depth of fifteen cm. 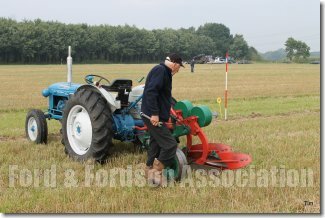 There was a lot of straw on the field and in the Netherlands it is not permitted to clear your plot you have to plough it as it is, this made ploughing not easy but good fun. 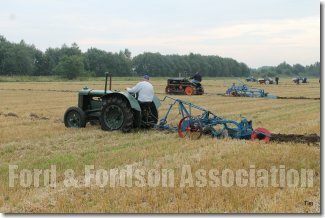 Twenty-one tractors came to compete on the day. 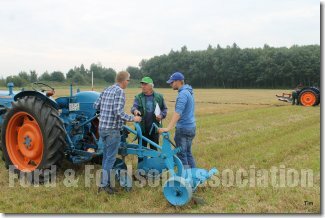 who were Mr. Henk Pras and Mr. Anko Broekema two greatly experiencend ploughman and I explained the rules. 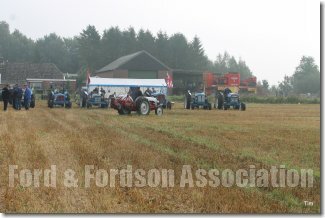 After we hoist the flag we start ploughing with the openingfurrow the jury went round to look. 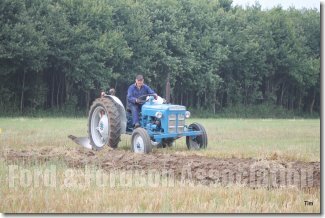 Then they gave the sign and we could continue ploughing. At noon we had lunch done by our lovely ladies Ineke Schoenmakers and Djoeke Hibma and everyone enjoy there meal. 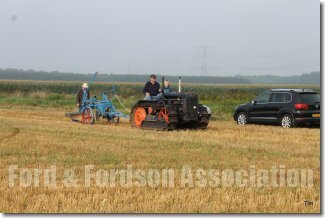 After the lunch they went back to their plots and continue ploughing. 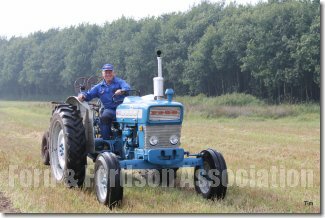 At four o clock all the fields where black and the ploughs clean and loaded ready for he journey home. 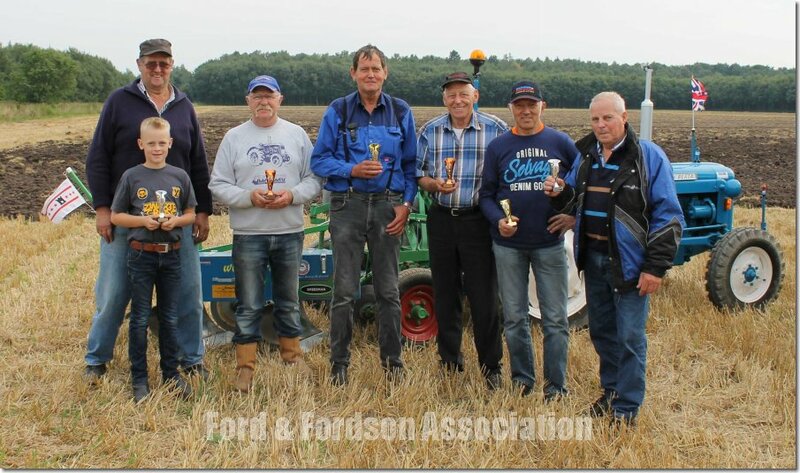 After the Congratulations and the pictures they all went home and it became quiet on the Hondsrug again. We had a wonderful day and a big thanks to Mr. Bennie Lubbers, Djoeke and Jarich Hibma, my lovely wife Ineke.